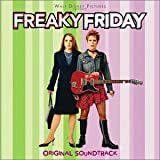 Ultimate – Paroles de la chanson dans “Freaky Friday : dans la peau de ma mère”. You’re the kind of friend. Who always bends when I’m broken. With clueless guys but now it’s over. Let me tell you why I’m through. I’ve got someone new who’s just like you. You’re it, you’re the ultimate. It’s automatic, I’m sure of it. No lie, so don’t even try. To tell me that you’re not the guy. ‘Cause I’ve been waiting all my life. You’re the kind of guy whose hand’s in mine. You’re the kind of guy that blows my mind. You’ve been right in front of me. Everything I knew, why didn’t I feel ?